Poitou-Charentes is the name given to the region which combines the area around Poitiers with the area around the Charente departments. 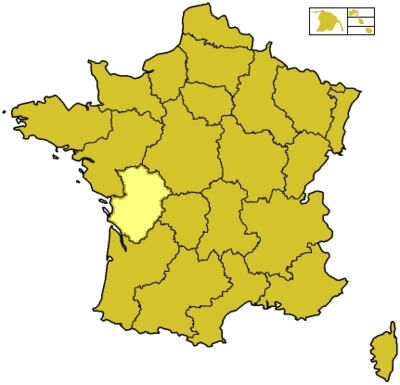 There are four departments in the region: Charente (16), Charente-Maritime (17), Deux-Sevres (79) and Vienne (86). All of the departments carry the names of rivers in the region; Charente, Sevres and Vienne. The sunniest and warmest - and probably most expensive - department is the Charente-Maritime.